There’s no personal risk to your staff having to lock up alone, or hold keys and codes – thereby avoiding lone working or problems with your key holder delaying opening through sickness or holidays. Many robberies of commercial properties take place when staff are unlocking in the morning or locking up at night but the lock-up and unlock service from Atlas UK Security is designed to deter such an attack by providing you with a trained, SIA licensed, uniformed security officer. We check all areas, windows and fire doors. By putting away laptops, closing all your windows and doors, and turning off unwanted lights, we can improve your security and help save running costs. The security of the building will be increased as the number of staff currently with keys can be reduced. It also avoids key holders leaving the company and not returning your keys for whatever reason. We know, from having managed the daily locking and unlocking of commercial properties for many years, that there may be operational changes, often at short notice. So, we are flexible to cope with your requirements for a variation to the opening or closing times when needs be. 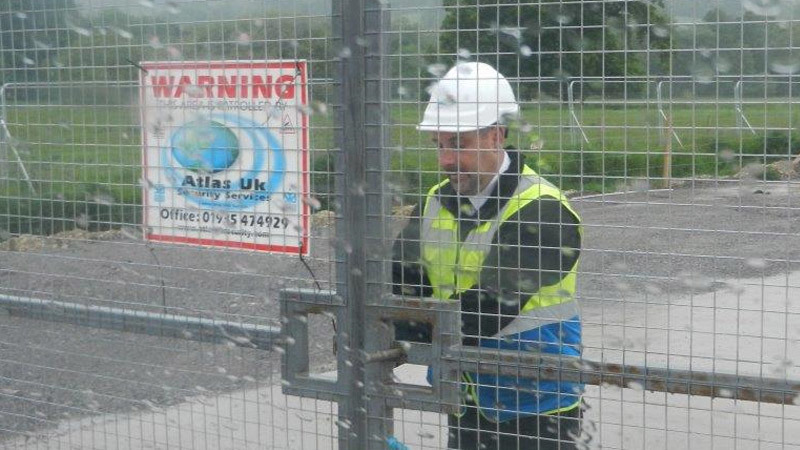 One of Atlas UK Security Services Operations Manager’s will visit the client at the premises concerned to conduct a Security Site Survey in order to identify the precise details of the service the client requires. Once the customer conﬁrms their wish to employ our services, our Operations Manager will conduct a Security Risk Assessment. We will ensure all Lockdown personnel have a full understanding of all the client's emergency, Health & Safety and operational procedures necessary to carry out the task to our high standards. Atlas UK Security provides the reliable, effective solution by deploying fully qualiﬁed and BS7858 vetted security personnel who will search the building to ensure all members of staff have left the premises, unnecessary electrical appliances or lights are turned off, all windows, doors and points of entry are secure, then set the alarm system before securing the entrance doors. Our Security officers have attended the National Counter-Terrorist Initiative “Project Griffin” and with continued training packages and regular updates on the current security threat, this truly gives us the edge when protecting your premises from terrorist reconnaissance and targeting.